Hello there on this rainy Sunday morning. I was all ready to go for my weekly 10 k run when the heavens opened........ so I thought I wait a little and use the time to appliqué a few more circles on my Brit Swap mini quilt and as it so happens a couple of hours later it was still raining but all circles were attached. Not good for the body and that very much needed run but good for the mini quilt. ( I could go in the rain but it is just to awful today......and that is a feeble excuse). So have a look and let me know what you think. I am very pleased with how it turned out and I could easily keep this quilt to myself if my Swap partner doesn't like it. But I think we share a similar taste as there is nothing in my partner's mosaic that I don't like so I am quietly confident that the mini quilt will have a reasonable reception. 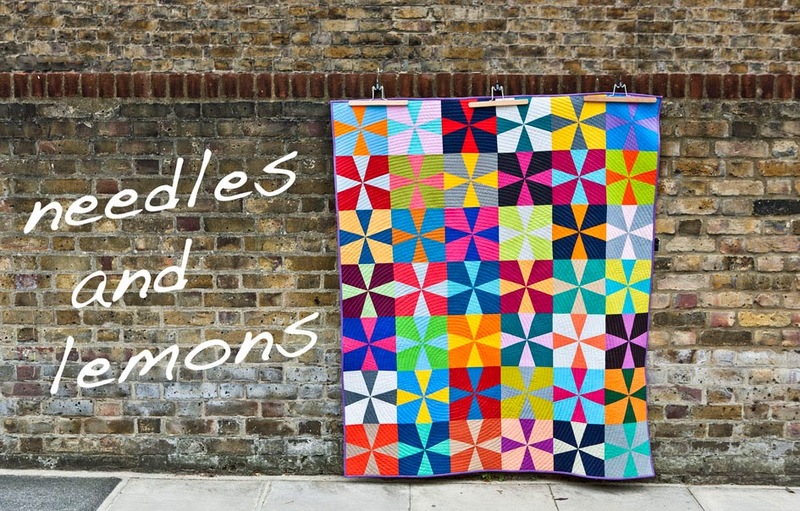 You may remember that I somewhat adapted the 'Charlotte Sometimes' quilt pattern (read here ). 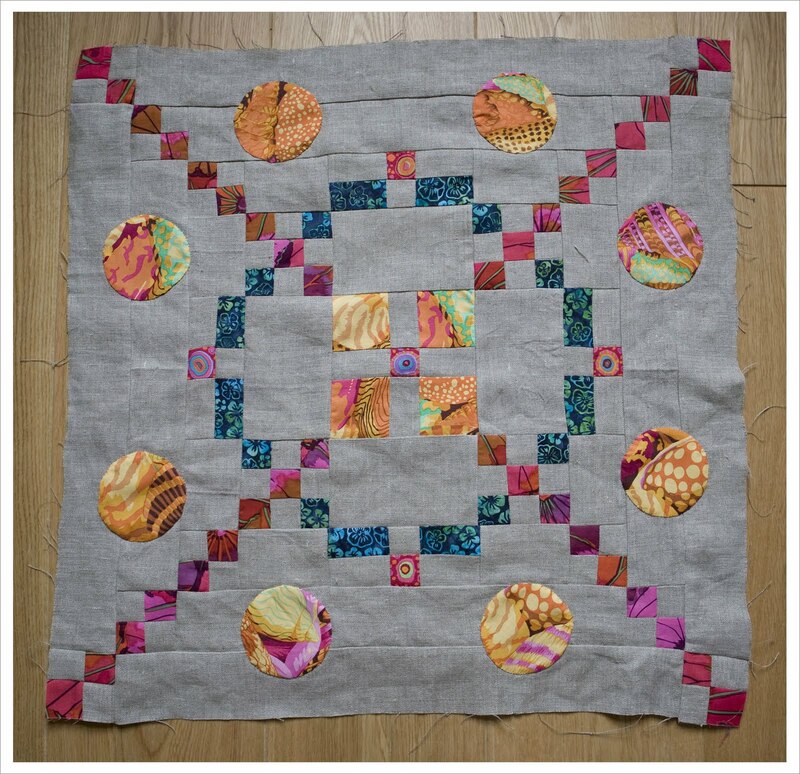 I am also auditioning for quilt back options and would very much love to hear your opinion and advice. 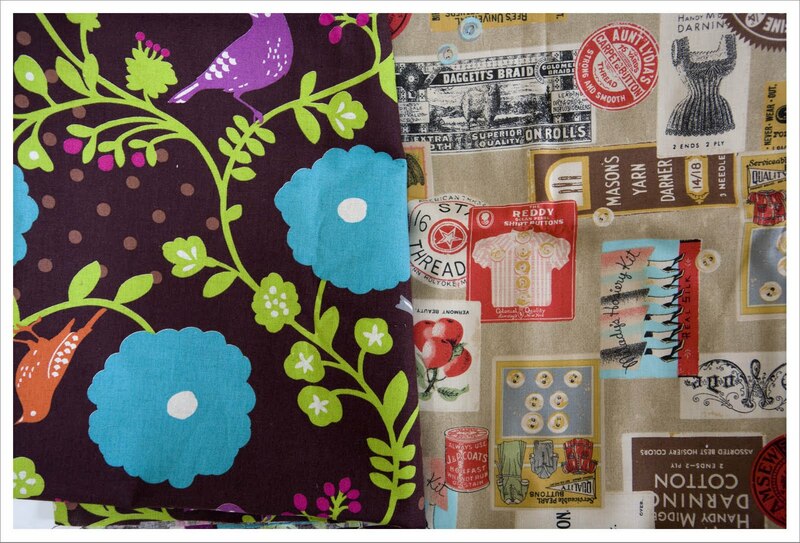 To the left of the image below is a wonderful Echino print and to the right a fantastic Lecien vintage inspired print. What do you think ? Or something else altogether ? This has come out beautifully! I love the Echino as a print, but I think the Lecien complements the front perfectly! I had planned my comment in my head, scrolled down, and Sarah has beaten me to it! I agree with Sara - the Echino will provide a lovely contrast. I am sure your swap partner will love it. 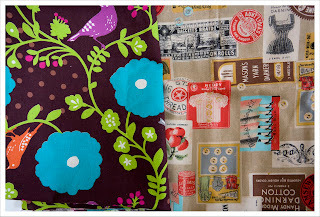 Although both prints are lovely, I am loving all vintage looking fabrics lately! Nice quilt top. Now maybe you can go for that run! I'm going swimming this morning. I'm all for the Enchino. 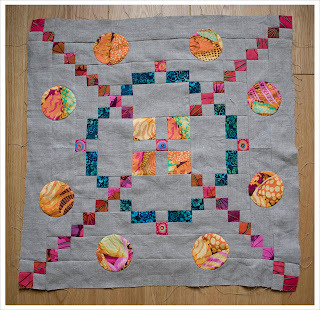 The colours just seem to work for me as a backing to your great mini quilt. Can't wait to see what you back it with and how you quilt it.